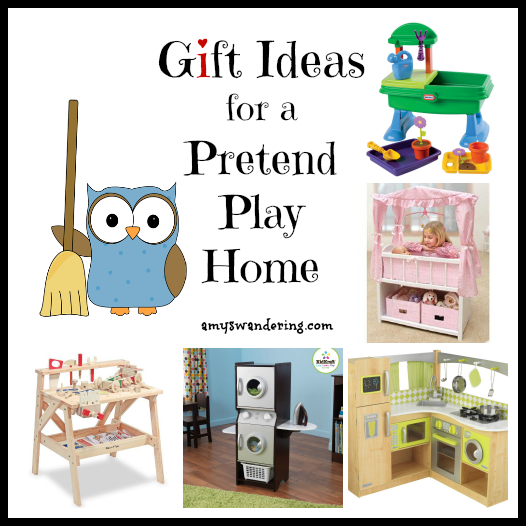 Pretend Play Home gifts have really withstood the test of time in our family. 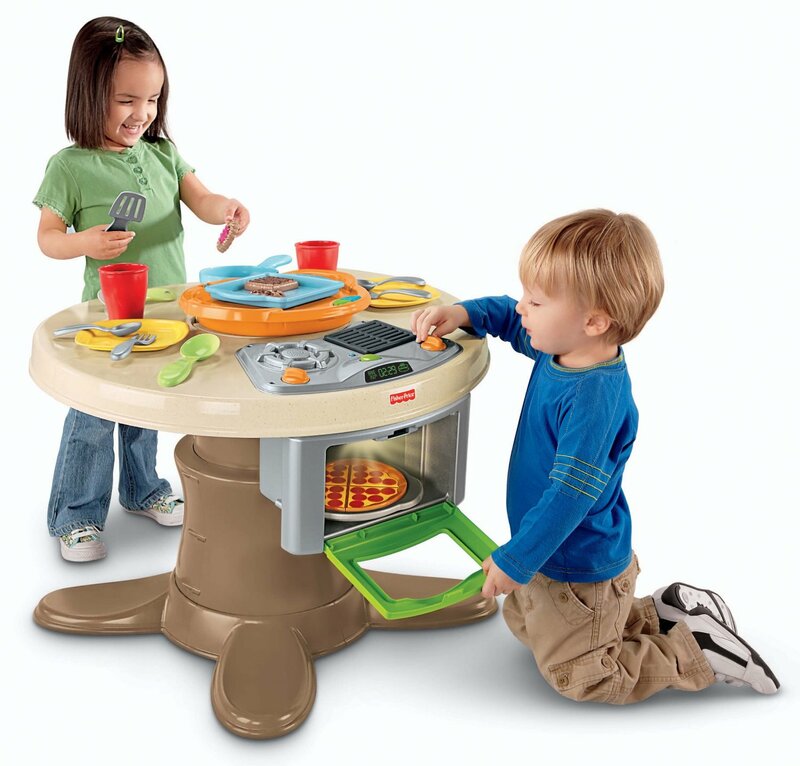 The “must have” toys of the season seem to amuse my kiddos for a few weeks, and then they are right back to cooking dinner in the play kitchen. 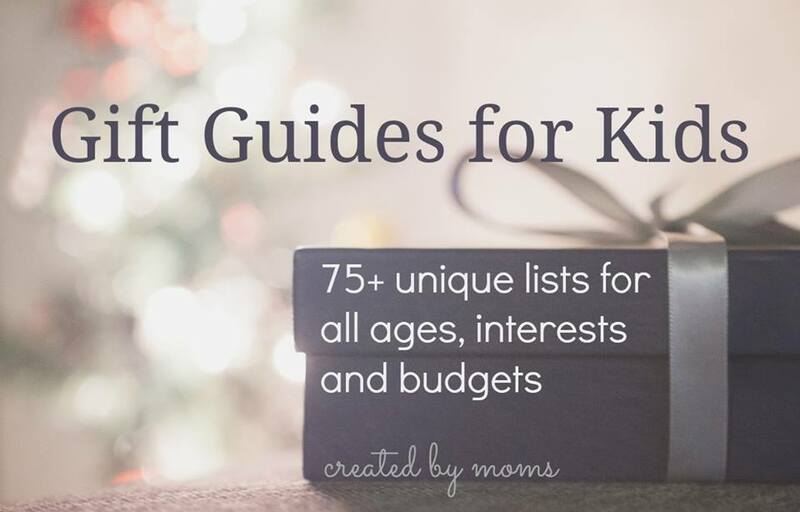 I’ve created a Room-by-Room Pretend Play Home Gift Guide to help you pick some items that will be played with for years to come. 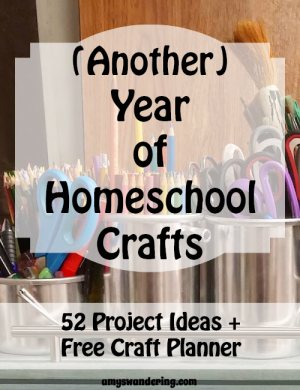 I am highlighting a few of my favorites, and then linking to a more comprehensive toy list for each category. 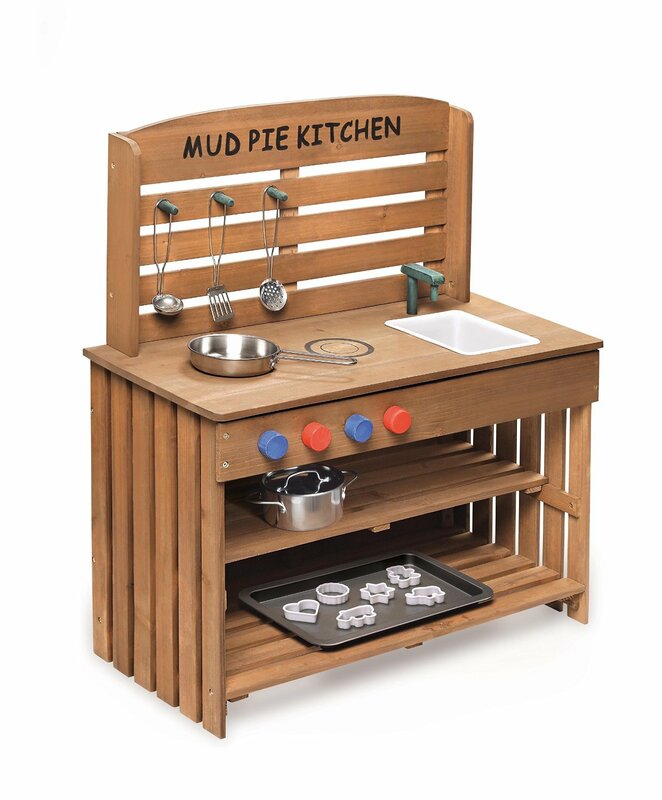 KidKraft gets my vote for all-around best play kitchens. 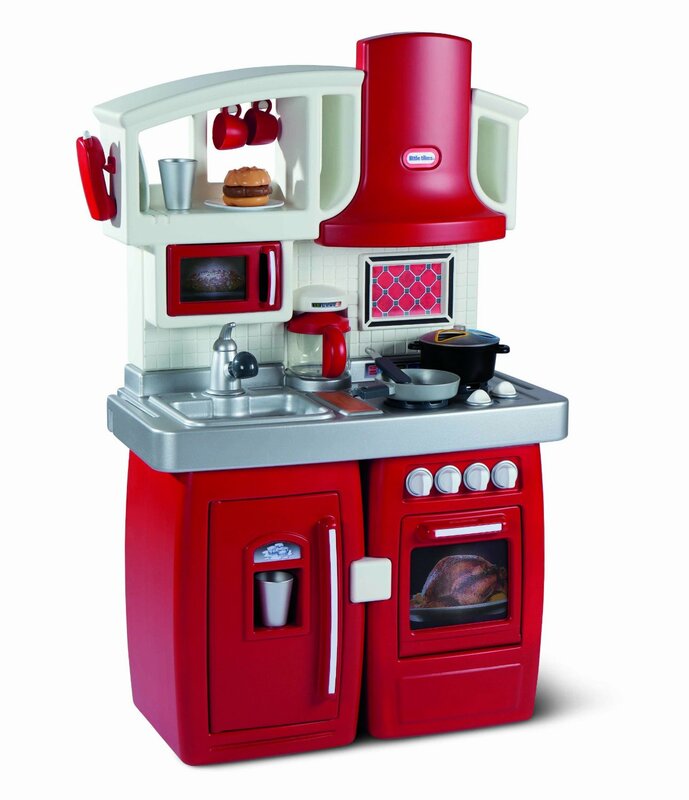 They have several styles, but this cranberry retro kitchen is my favorite. 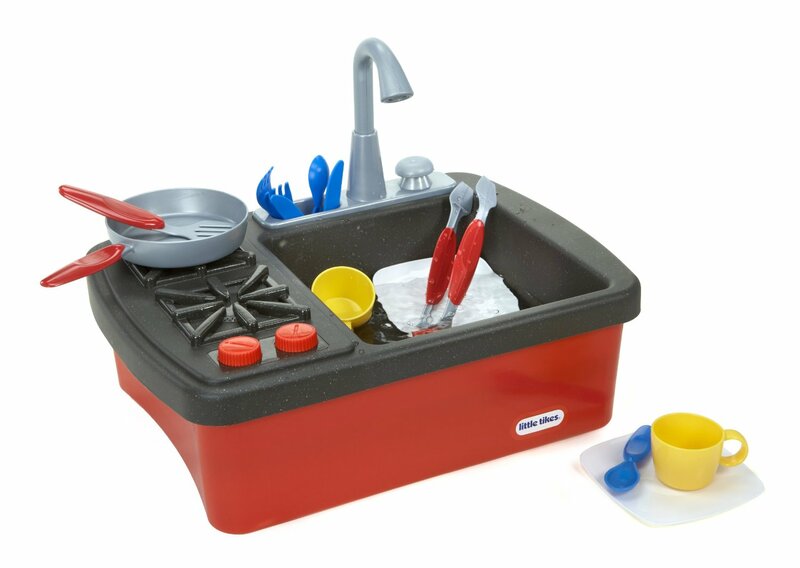 The Little Tikes Splish Splash Sink & Stove is a great option for a small budget or small space. The sink really holds water. 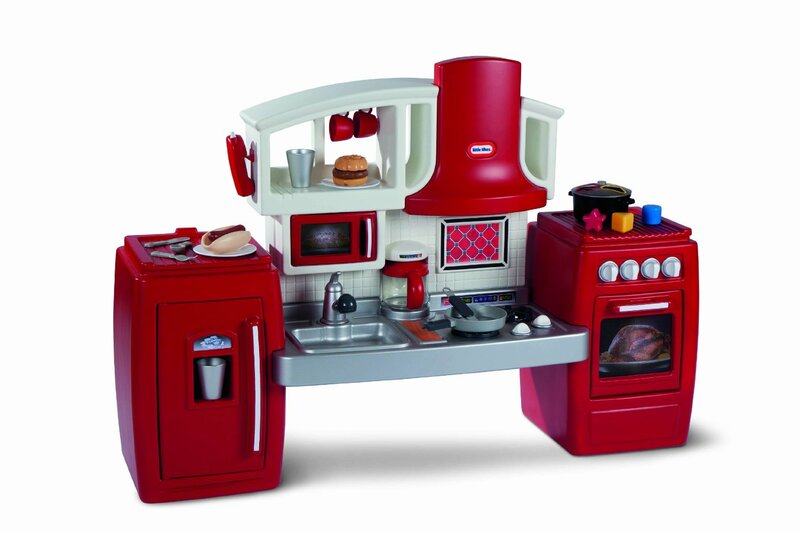 The Fisher-Price Servin’ Surprises Kitchen & Table does double duty. 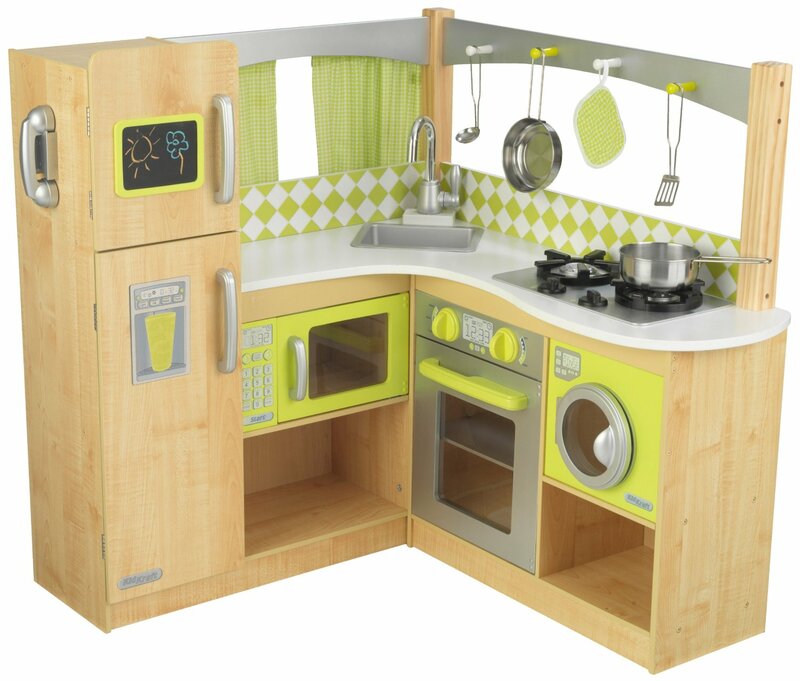 The Little Tikes Cook N Grow Kitchen can be reconfigured as your child gets taller. Want a full kitchen? 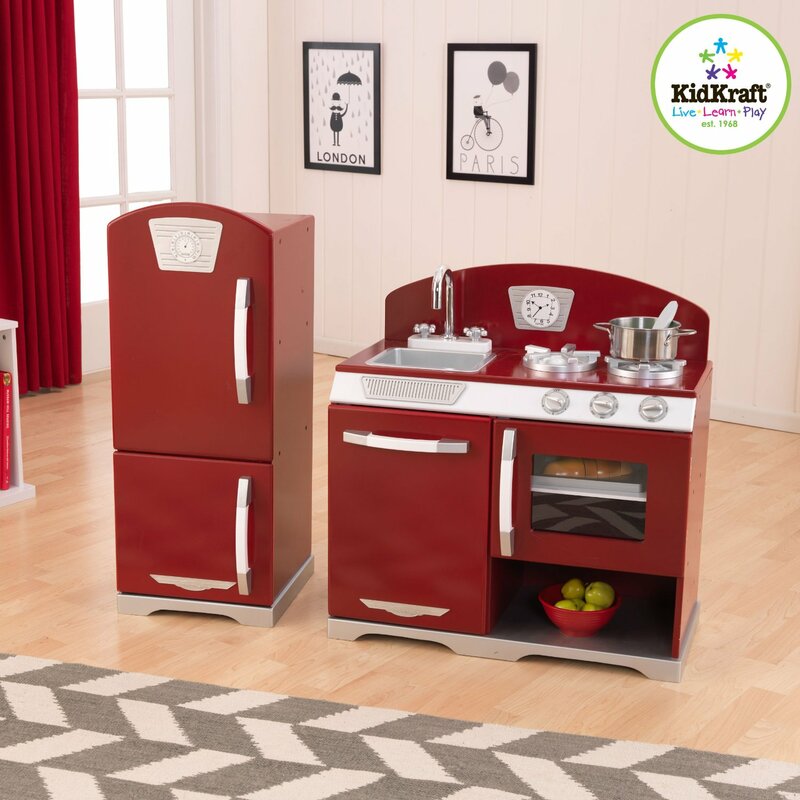 Go with the KidKraft Corner Kitchen. 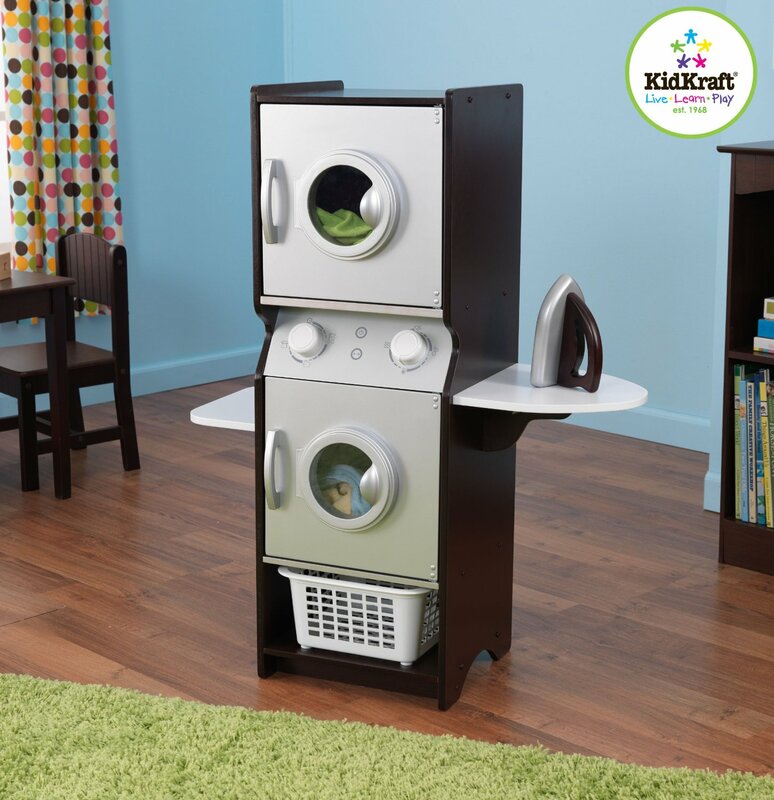 Tackle that laundry pile with the KidKraft Laundry Set. 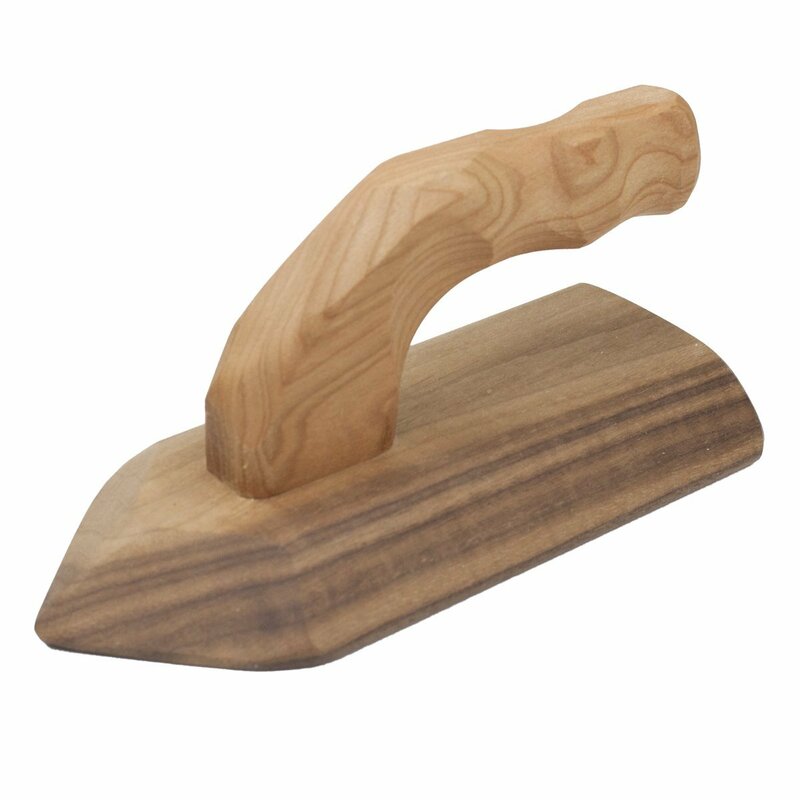 Get the wrinkles out with an Olden Days Wood Toy Iron. You can really put the kids to work with this Dust, Sweep & Mop Set. 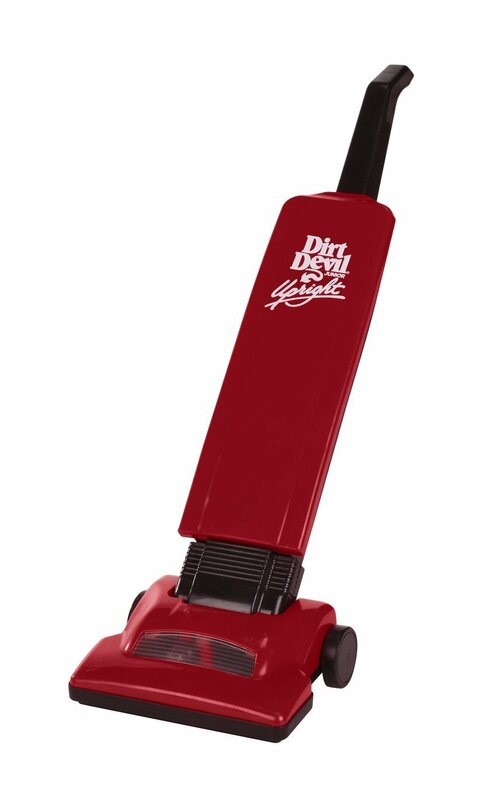 Our little ones loved pretend vacuuming with their Dirt Devil Vacuum Cleaner. 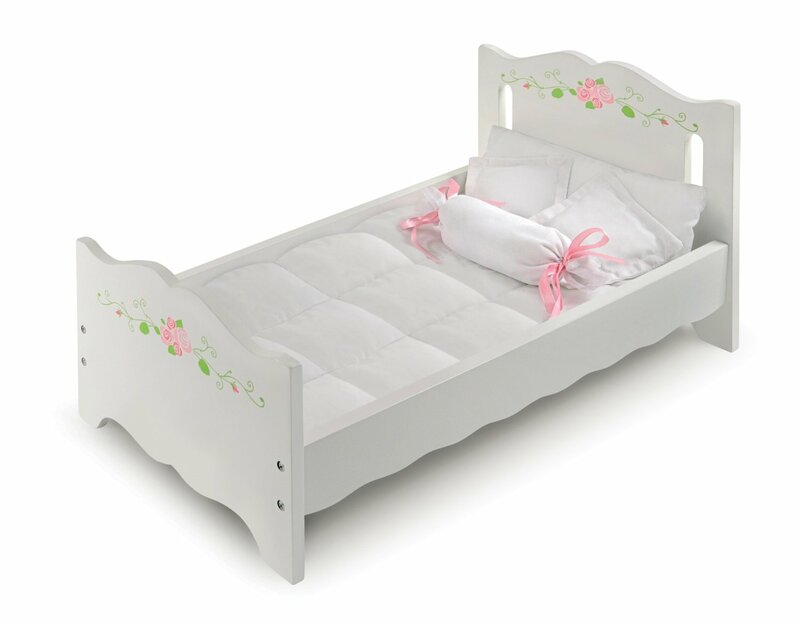 This Rose Doll Bed is fit for a Princess. 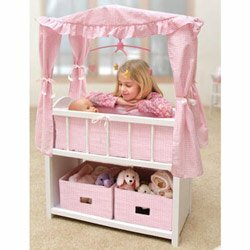 You can store the doll clothes underneath this Canopied Doll Crib. 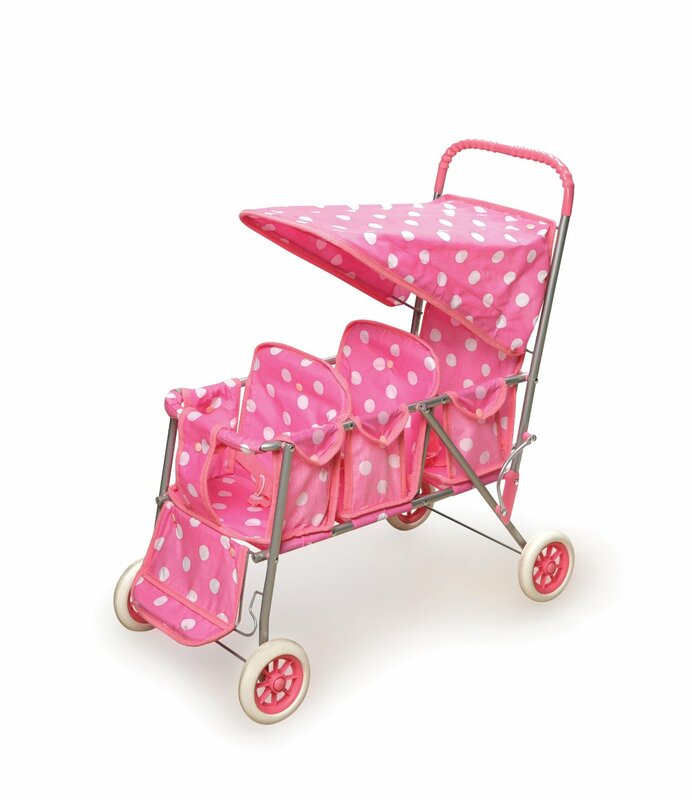 Take all the dolls for a walk with a Triple Doll Stroller. 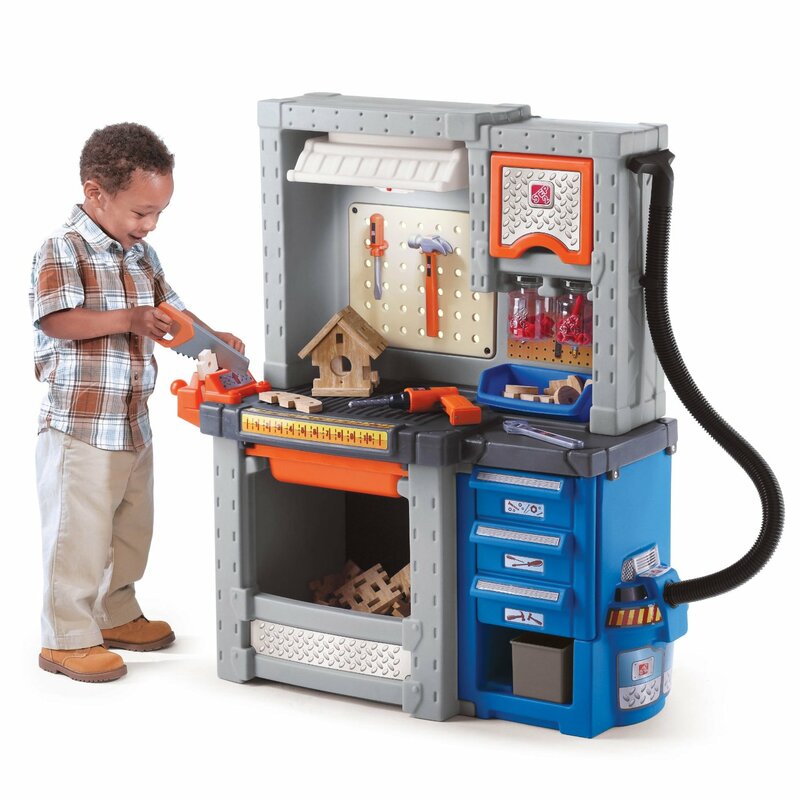 The Step2 Deluxe Workshop has a working shop light. 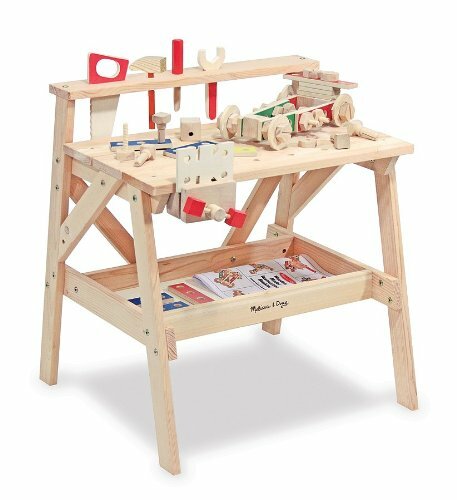 The Melissa & Doug Wooden Project Workbench comes with blueprints & parts to make a robot and several vehicles. 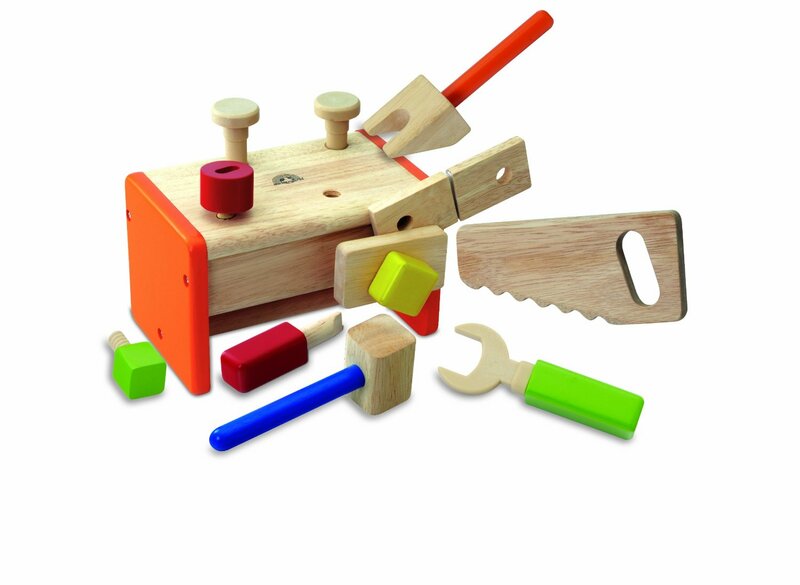 The Wonderworld Little Tool Box is a classic that is sure to be played with for years. 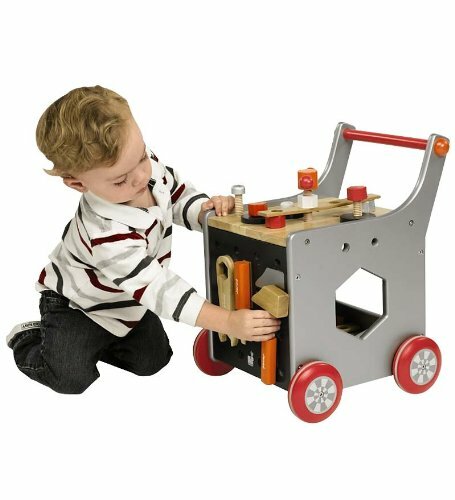 This Wooden Toolbox Trolley Set has magnets on the side to keep you tools in place. 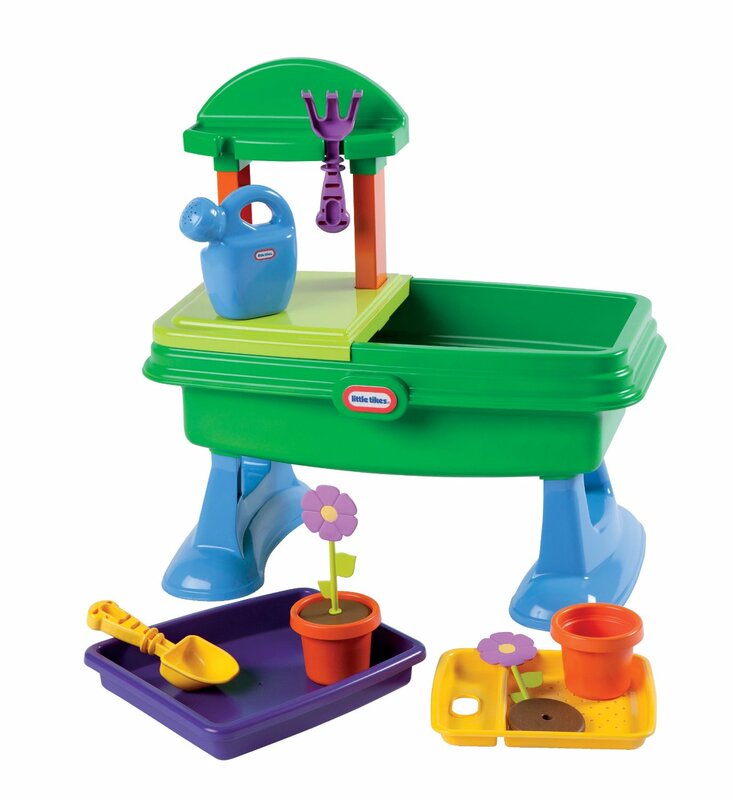 Pot up some plants at the Little Tikes Garden Table. 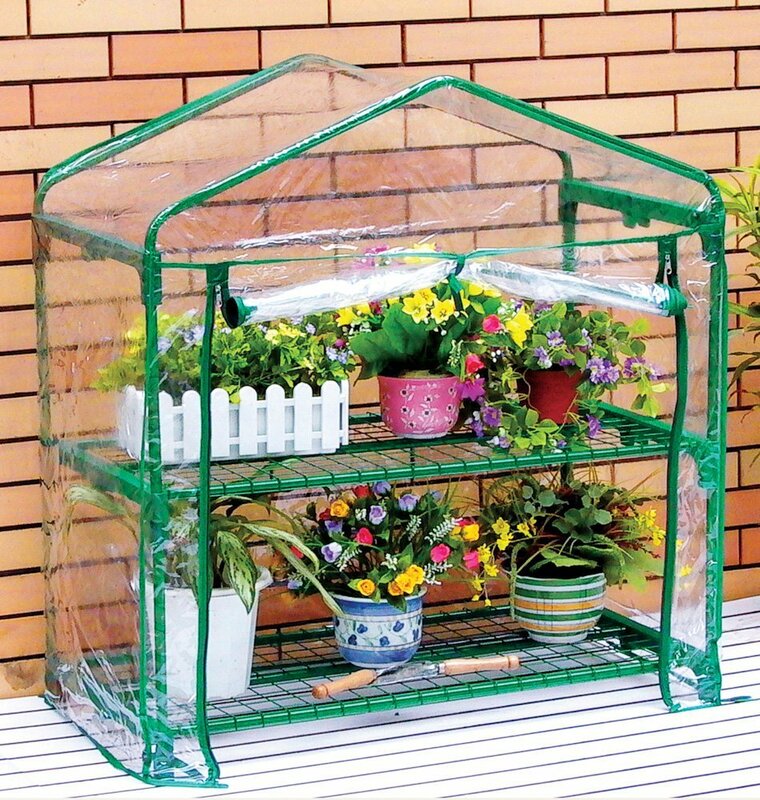 Keep your plants healthy in a little Greenthumb Greenhouse. 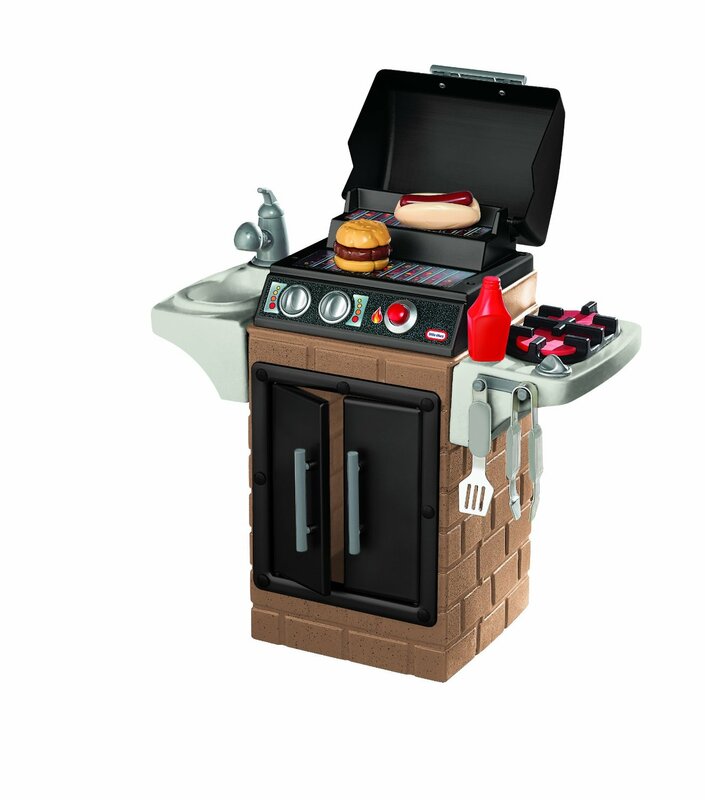 After a hard day of yard work, cook up a burger on your Get Out ‘n Grill Set. I would love to know if your kiddos have as much fun with pretend play sets as mine have over the years. Do you have a set that has stood the test of time? 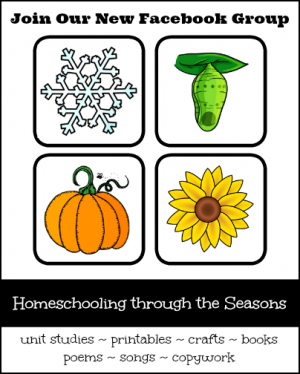 This guide is part of the Holiday Gift Guides for Kids. 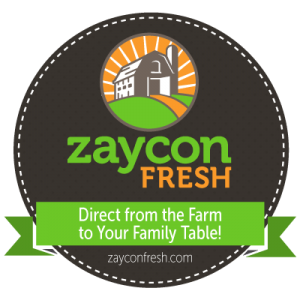 Need more gift ideas? 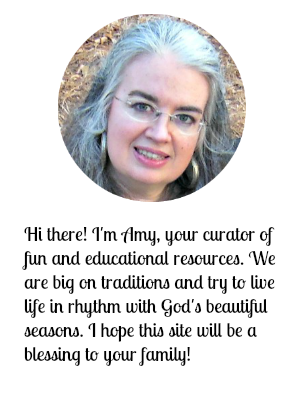 Over 75 moms are sharing their favorites.